Father, Accountant, Writer, Husband, Artist, Gardener, Grandfather, Singer, Teacher, Photographer, Speaker, Scholar, Athlete, Storyteller, Financial Planner, Sculptor and Traveler. Don Carr was born in Detroit in 1939 as the son of an avid fisherman, but Don never liked fishing. His family spent their free time up in Grayling, MI at the Carr family canoe livery near the Au Sable River where his Uncle won the first Au Sable Canoe Marathon. But Don had different ideas for his life journey. After graduating from Detroit’s Cooley High School with letters in Swimming and Basketball, Don met his first love Sandi Carter. The two were married in 1961 and moved to Louisiana while Don served in the Army. After his service was completed, they moved back to Michigan and established a home in Livonia, where they started a family of three kids (Pamela Christine, Lisa Marie and Christopher). While his kids were growing up, Don worked as Controller for Inter City Trucking Company near Hamtramck, MI, and pursued his college education. He earned several degrees including an Associate Degree from Schoolcraft College, a Bachelor’s Degree from Eastern Michigan University, and a Master’s Degree from Walsh College. 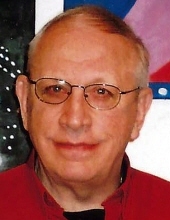 Don continued to remain active at Walsh College as an accounting instructor and officer on the Alumni Board. Don was also very proud of his work with Dale Carnegie as both a student and a teacher. He strongly believed it gave him the necessary confidence he needed to succeed in business. While working in the Trucking Industry, Don found his passion for writing. He regularly wrote articles for Trucking Association magazines and traveled to speak at conferences. He soon began to experiment with creative writing, and became a very prolific writer of poems, short stories and a family newsletter called “Two Cans and a String”. He continued writing throughout his entire life. In the next chapter of his life, Don moved to Beachwood, OH and married Barbara Corbin. The two of them enjoyed a common love of the arts, music and theatre, and attended many performances in the Cleveland area. They also loved traveling and shared many fun experiences across the country. Tragically, Barbara’s life was cut short due to ovarian cancer. For the last period of his life, he met and married a local Cleveland artist, Mary Ellen (May) Salo. She opened Don’s horizons to experiment with expressing himself through art. First, he tried pottery, and eventually found his favorite medium to be canvas painting. Don called his paintings “folk art” and he loved painting his interpretation of current events. Mary Ellen entered her professional artwork in many local shows, and Don tagged along with his paintings too. With Don’s passing, the world will seem much quieter due to the loss of such a magnificent voice. Don was 6’5” tall and was gifted with a booming baritone opera voice that enveloped anyone in his presence. He loved to tell stories, sing 50’s songs, and utilize his voice to attract attention and make someone smile. He was larger than life with his dominant presence and equally large heart. Don will be missed by his wife, Mary Ellen (May) Salo, his three children Pamela Carr Hagerman (Jeff Hagerman), Lisa Bevier (Kirk Bevier) and Christopher Carr (Heather Carr), his three grandchildren Tyler Carr, Anna Girard and Kyle Carr, and his sister Patt Noteware (John Noteware). Funeral Services will be held Saturday November 3, 2018 at 10:00 am in the McGORRAY-HANNA FUNERAL HOME OF LAKEWOOD, 14133 DETROIT AVE Where friends may call on Friday November 2nd, from 5-8 PM. Interment Knollwood Cemetery. In lieu of flowers, the family requests “growing plants” which can be transplanted after the service. "Email Address" would like to share the life celebration of DONALD CARR. Click on the "link" to go to share a favorite memory or leave a condolence message for the family.